This is the official site for Mental As Anything redesigned to suit smart phones and tablets and the traditional steam driven computers. Here you will find up to date touring info designed to put you at a Mentals show near you. You will soon be able to link through to film clips, new songs and merchandise. Register here for the newsletter. The new site has been constructed by Mandy Hall Media. 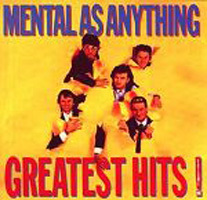 Welcome to the new official Mental As Anything band web site. We’ve only just begun. A new web site shop is coming very soon. What should we sell? You tell us what you want in the comments below.